Carol Ships Parade of Lights with their holiday themed decorations and festive lights, run December 4th to December 23rd, 2015. Carol Ships is a community event that has become one of the premier attractions during the December holiday season. A special event benefiting businesses, charities and the community. Carol Ships ‘Parade of Lights’ Society began over 50 years ago with one boat decorated with Christmas lights in Coal Harbour off the Bayshore Inn (now the Westin Bayshore Resort & Marina). On peak evenings, this holiday tradition has grown to more than 50 decorated boats, with in excess of 100,000 lights, and carries over 30,000 people during the month of December festival. Thousands of people have enjoyed the many community-based shore-side celebrations and the Carolships Parade of Lights. The 5 Parade Nights shown immediately below will have the most boats out and are best for viewing, the complete schedule is also shown further below. Dec 04 Friday – False Creek opening. Destination Science World, Parade Night. Dec 05 Saturday North Vancouver opening –Lonsdale Ave & Canada place Parade Night. Canada Place 7:15 PM North Shore- Lonsdale Ave — Ship builders Square 7:30 PM, Circle till 8:30 PM, head to Second Narrows and then return. #1 Route: Inner harbour tour. #2 Route: Outer harbour, Granville Island 7:00 PM, West Vancouver 7:30 PM False Creek 9:00 PM Science World 9:30 PM, Burrard Bridge 10:00, Stanley Park 10:15 PM. 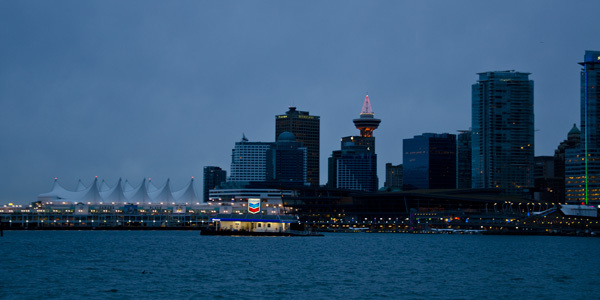 Circle tour 7:30 PM to 8:00 PM off Canada Place, to Lonsdale Quay 8:15 circle to 8:30 PM, Second narrows 9:00 PM, Canada place 9:20 PM circle Inner harbour boats and English Bay for False Creek boats. Canada Place at 7:10 PM, Roche Point 7:55 PM, Deep Cove and bonfire at 8:30, Roche Point 9:15 PM, Second Narrows 9:30, Lions Gate 10:30 PM.